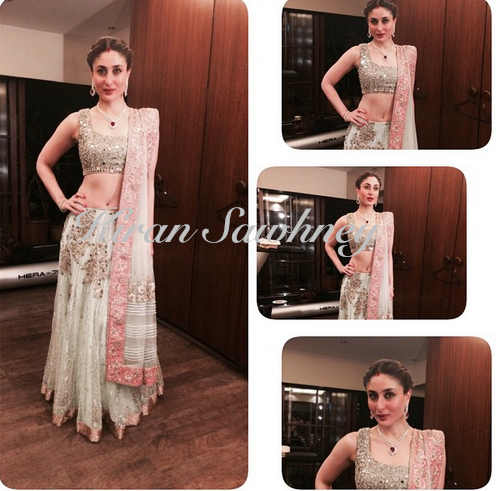 Kareena Kapoor is looking stunning at Soha Ali's wedding reception. This is the most decked up look of Kareena amongst all other wedding functions. You can see her in mehendi here and wedding here. 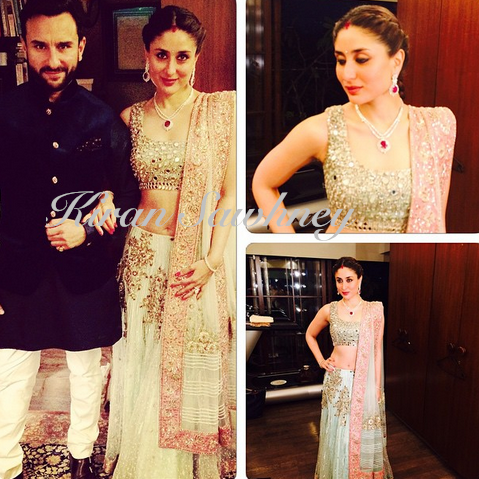 Kareena is wearing a lovely gold lehenga, with mirror work detailing by Manish Malhotra. She teamed it with diamond and rubies necklace and earrings and diamond bangles. She finished the look with super interesting hairdo. She looks great.